Not yet rated; likely PG-13. In theaters 1/10. Ok for kids 13+. In this epic origin story, Kellan Lutz (Emmett Cullen, the "Twilight" franchise) stars as the mythical Greek hero – the son of Zeus, a half-god, half-man blessed with extraordinary strength. 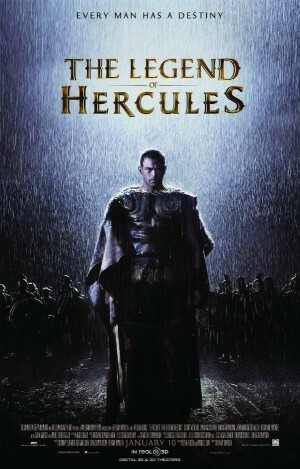 Betrayed by his stepfather, the King, and exiled and sold into slavery because of a forbidden love, Hercules must use his formidable powers to fight his way back to his rightful kingdom. Gaia Weiss, Scott Adkins and Johnathon Schaech co-star in this film, directed by Renny Harlin.